Preview Transactional activities like: Transaction Name, Time, Query etc. The SQL Server Transaction Log Restore provides you a preview of complete log activity of SQL database. The preview include table name, transaction name, query , transaction time etc. 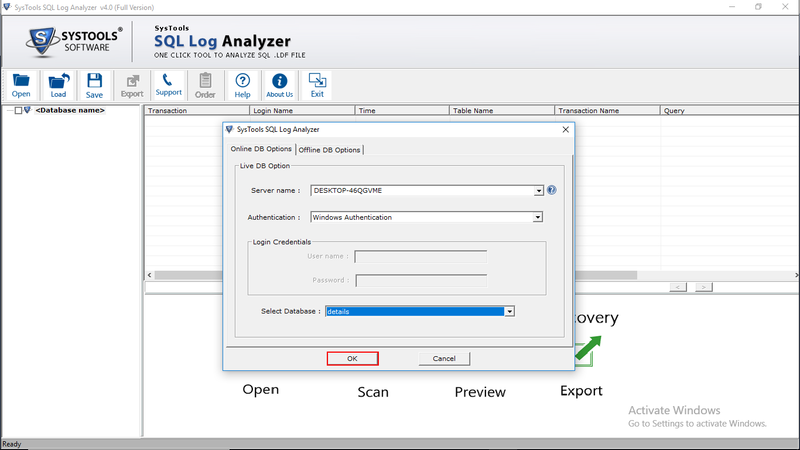 SQL Server log explorer tool allows quick recovery of LDF data by avoiding complete scanning of corrupt database. User just need to provide the last backup of SQL LDF file with associated MDF file and the tool will export the complete data. 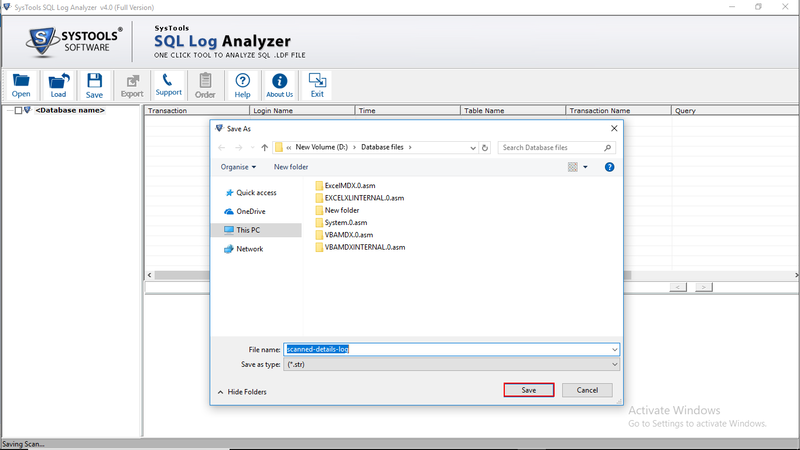 The SQL LDF File Reader allows saving of analyzed records to SQL database/ SQL Server compatible scripts/ CSV format. These saved records of SQL queries can be further use in working stage. SQL Server Transaction Log File Viewer provides you an option to apply date filters. 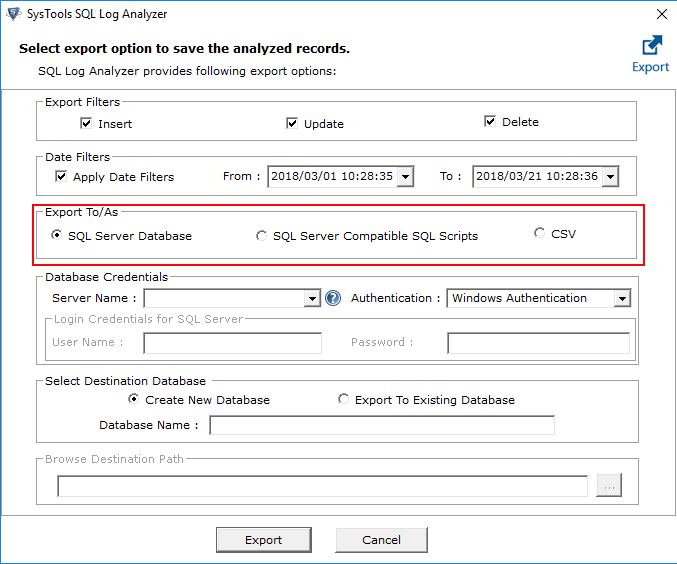 You can select from date, to date and the SQL LDF File Reader will export only the tables which are generated within the specified date range. 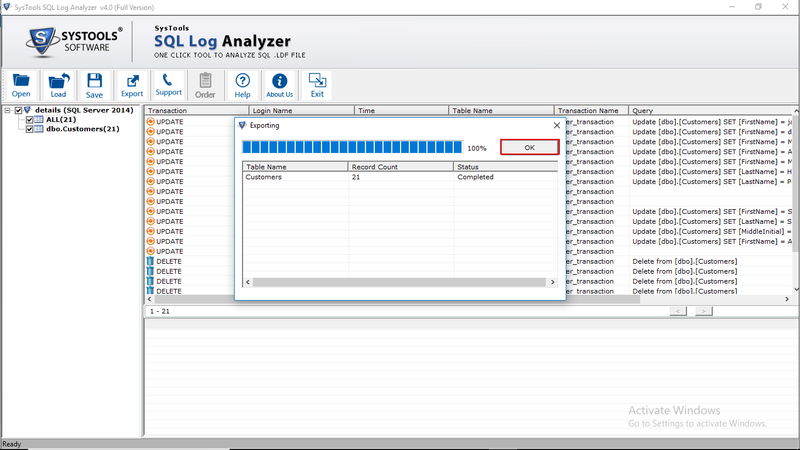 The SQL transaction log reader tool allows saving of scanned log file by copying of scanned LDF files. The software save the scanned copy as an STR files which can beused in future to work on scanned LDF file. 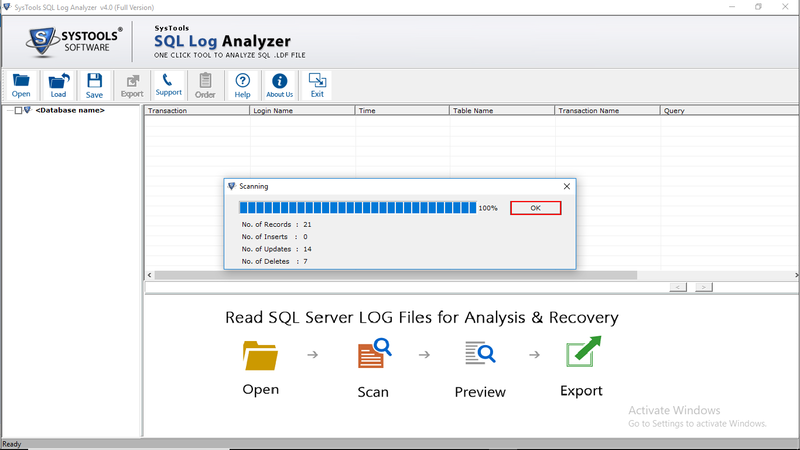 The SQL Server transaction log recovery tool is a standalone tool that allows recovery of corrupt SQL database without MS SQL Server installation on machine. 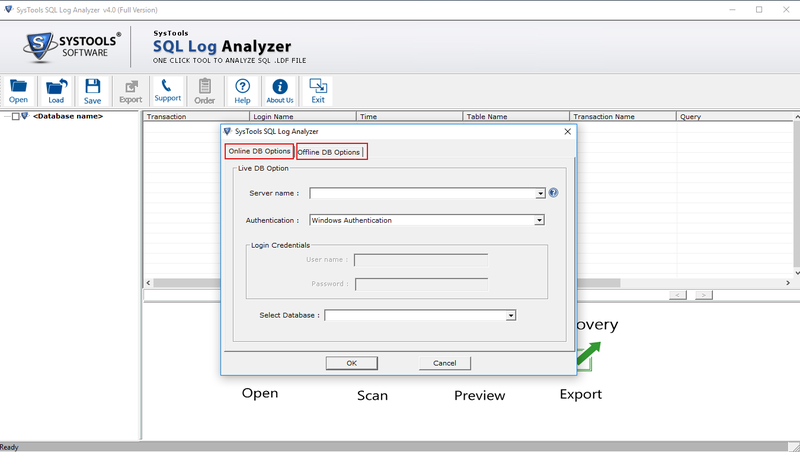 It promotes the forensic analysis of SQL Server databases. 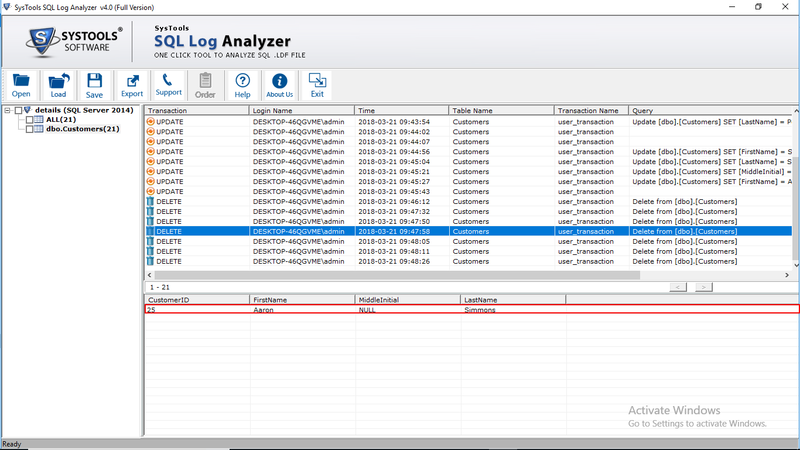 SQL transaction log reader tool not only recover data from sql log file, It also track users activities with whom the database is shared. 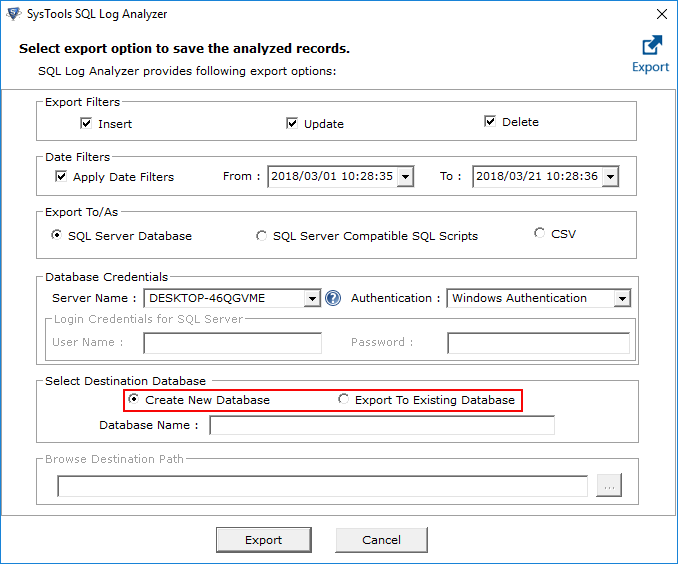 Get a preview of deleted records and export into three different ways i.e SQL Server Database, .sql scripts file & .csv file format. 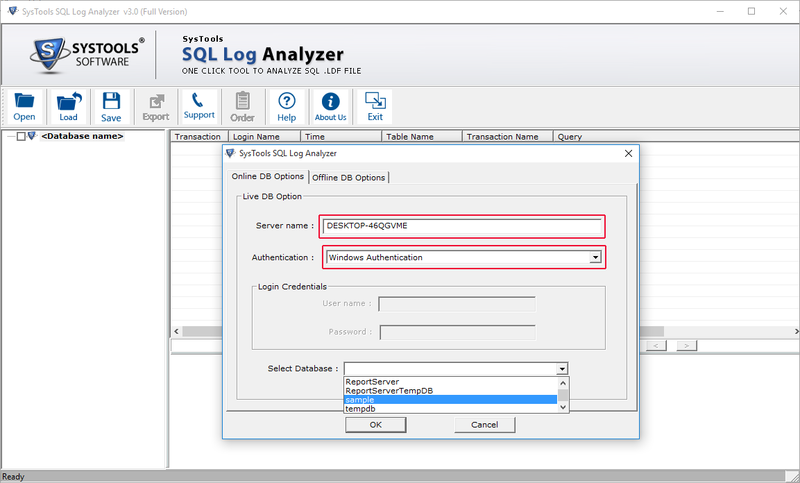 Now analyze your database transaction logs with desired options(Online & Offline) and track all data changes of SQL Server database. Step 4: In Online option; After filling the required information, click On Ok to proceed for scan. Step 5: Software shows the scanning details such as; No. of Records, No. of Inserts, No. of Updates, & No. of Deletes. Click Ok to proceed. 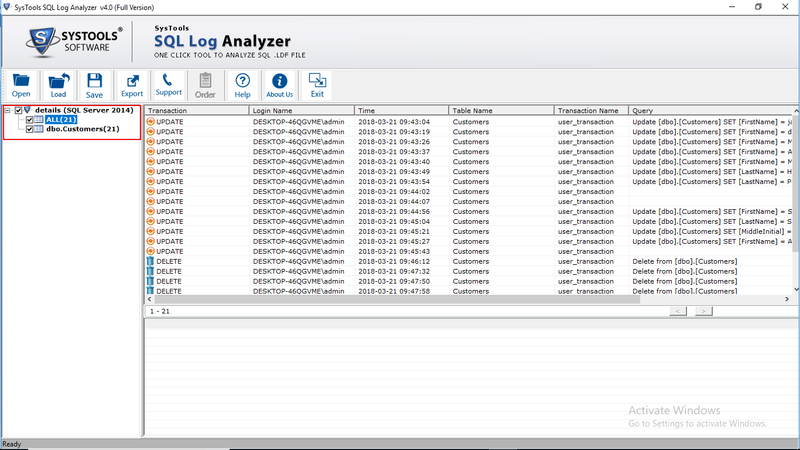 Step 6: Preview the transaction logs for each table available in the database. Step 8: Check the transaction that you want to export: INSERT, UPDATE & DELETE. Does the Software Supports all version of MS SQL Server? 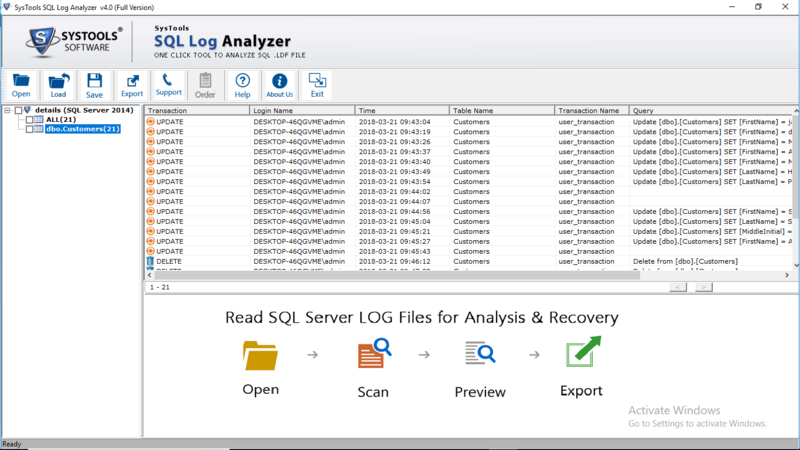 Yes, SQL transaction log recovery tool supports to view .ldf file of SQL Server 2017 & all previous versions. What are the system specifications to use the software? The SQL Server transaction log restore supports all versions of Windows up to Windows 10. It requires 512 MB of RAM and 50 MB of free hard disk space. The SQL LDF File Reader works on both online and offline SQL database. I want to export only Update type of record. Is it possible to export only Updated transactions? 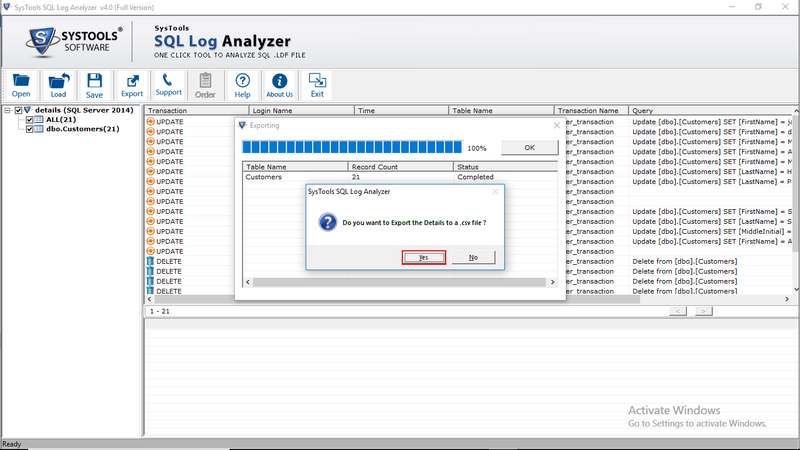 Yes, the SQL transaction log reader tool allow you to export desired transactions. You can export Insert, update or Delete according to your requirement. 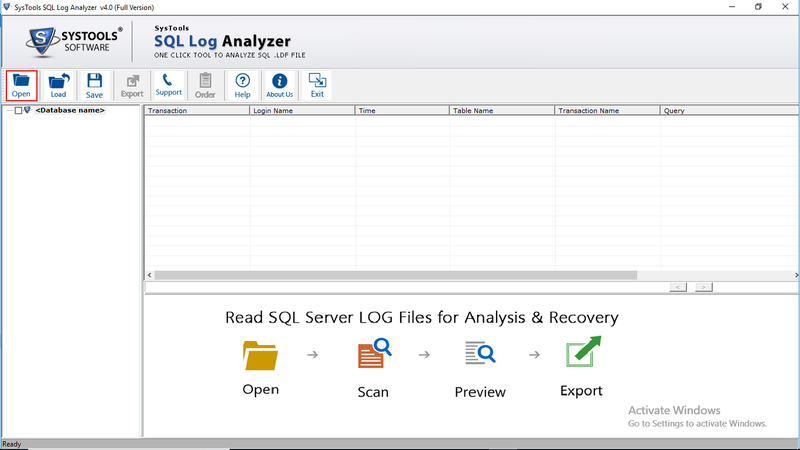 Can I perform SQL Log recovery with this tool? 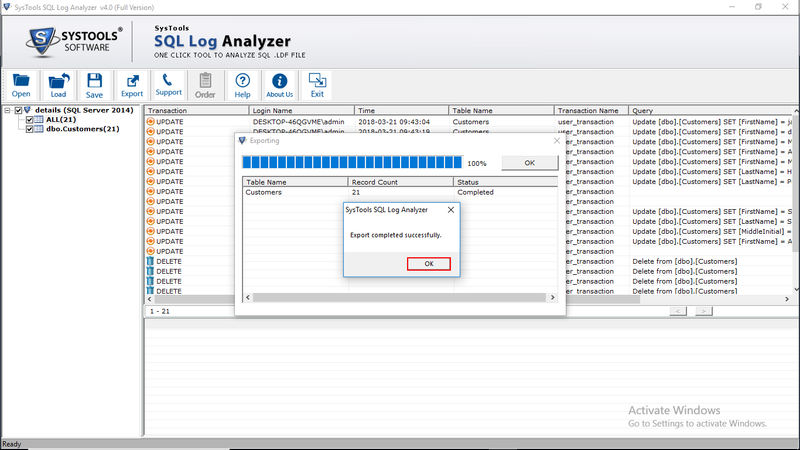 Yes, you can restore SQL transaction log with the help of this software. 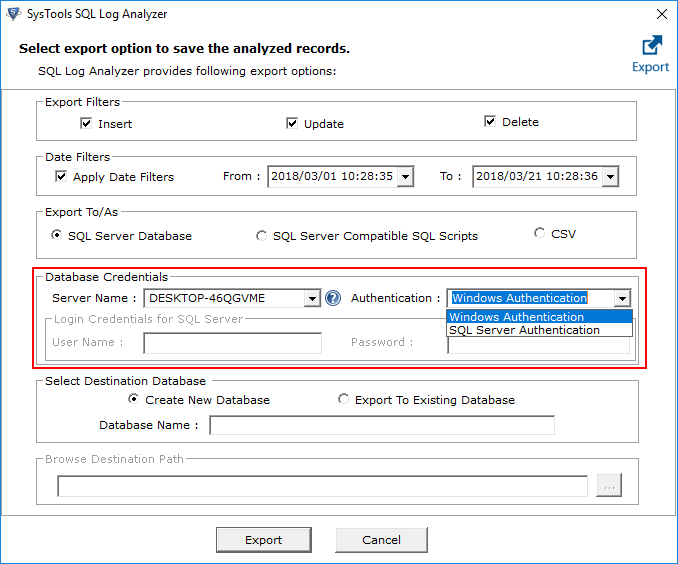 Can I view deleted records of my database using this SQL database transaction log reader? Yes, once you successfully uploaded the .ldf file with its associated .mdf file, the tool will show all the transactions contained by database log file. 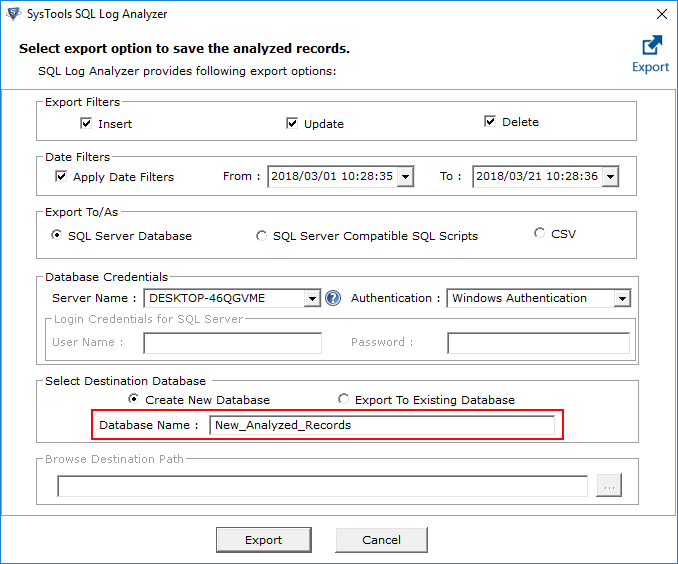 Is It possible to recover deleted records of my table using SQL transaction log recovery tool? Yes, Software is capable to recover deleted records from table as well, if the database is in Simple recovery mode. Can I still view SQL log file transactions if the associated MDF file is corrupted? No, SQL Log recovery required to have associated .mdf in healthy state. Great tool, My SQL Server database was inaccessible and corrupted I was not able to open SQL server database transaction log file, but when I repair SQL transaction log file with this SQL Server log recovery tool I can easily access its data. I like the tool because of its simplicity. I have used so many tools to recover deleted data from transaction log, but failed every time because of the complexity of those tools. When I used SQL log file viewer, I have easily export and recovered my SQL Server data without any effort and time.